Will Nawaz Sharif's conviction damage his votebank? Analysts weigh in. Will Nawaz Sharif and Maryam Nawaz return to Pakistan to serve their respective 10 and seven year prison sentences? And will their return improve their chances in the upcoming general election on July 25? 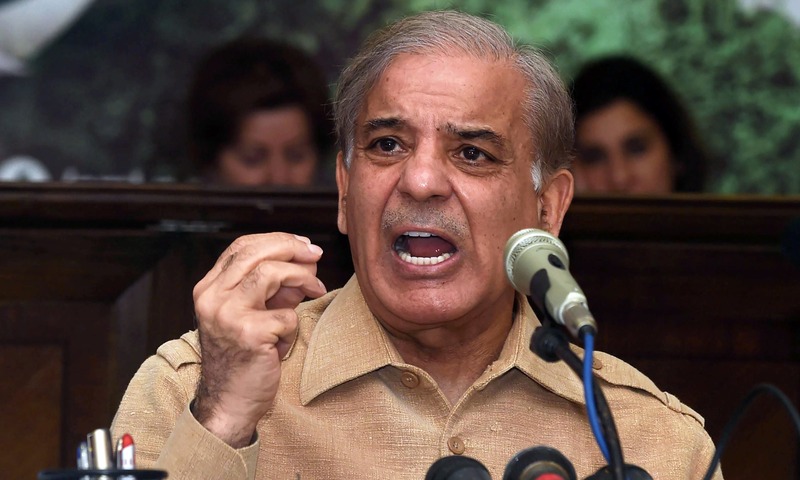 Analysts said the verdict of the dramatic Avenfield case would damage the PML-N's campaign, as the less charismatic Shahbaz Sharif seeks to fend off the challenge by Imran Khan's Pakistan Tehreek-i-Insaf and other parties. The ruling has put Sharif in a “difficult position”, agreed analyst Rasool Bukhsh Rais. 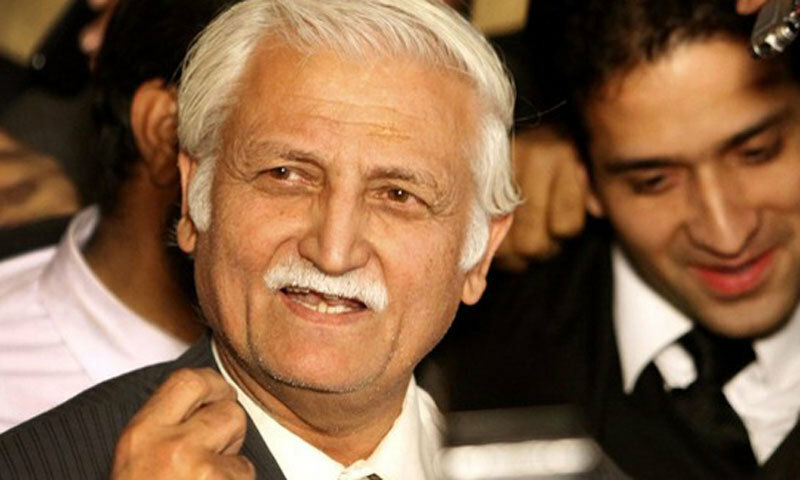 “No matter what the PML-N says, the decision is going to damage their vote bank,” analyst Rifaat Hussain told AFP, adding that he thought it unlikely Sharif would return. 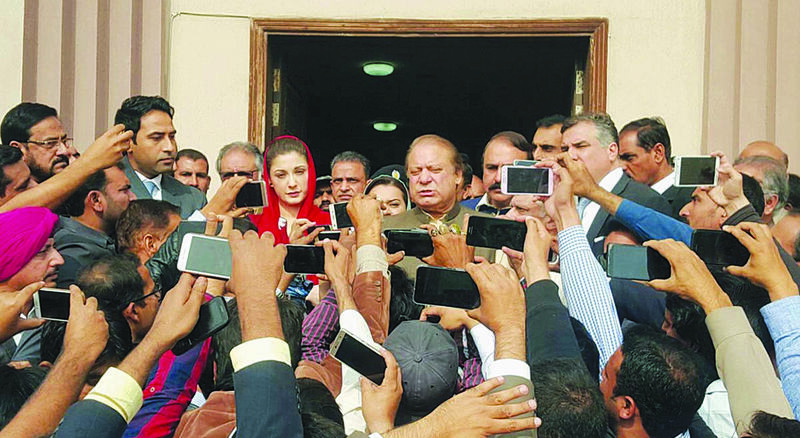 Recent surveys show that up to 22 per cent of Pakistani voters are undecided ahead of July 25 (election day), he said, and with further serious allegations of corruption against the PML-N leadership there is little chance of Sharif mobilising the “sympathy factor” after the verdict to draw those voters in. Analyst Mazhar Abbas says that while Sharif recovered from the disqualification blow, the journey from July 6 (today) till July 25 is more difficult. "If Nawaz Sharif returns, will PML-N workers reach the airport? Will PML-N make a call for protest? Because now the judiciary has decided against them and announced their verdict. All eyes are on Shahbaz. Will his tone be soft? Will he reflect surrender?" Nawaz Sharif suffers two setsbacks. One, NAB conviction. Two, Shehbaz Sharif press conference. Its hard to tell which one is more damaging. Journalist Talat Hussain on Geo said the verdict is predictable, as it was obvious that Nawaz and Maryam would be sentenced to prison. "People are divided on whether this [conviction] should have happened or not, but there are some voters who are still on the fence about who to vote for. The dilemma of the undecided voter is not over. When we read the 100 pages of the verdict, things will emerge on a daily basis. We are hearing reports of Nawaz Sharif returning on Tuesday or Wednesday... that is when we can predict how this will influence voters." Great decision for political career of Maryam Nawaz. She has become a political force to be reckoned with. The best launch by the lobbies that wanted to finish her. Journalist Sohail Warraich said the conviction of Nawaz and Maryam will politically benefit Imran Khan. "As per survey results, the 20% of people who are undecided may find it easy to make a decision after this verdict. If Nawaz Sharif returns to confront this reality, his vote bank may improve. But the verdict has sealed one thing: a Nawaz government is out of the question." This decision against Sharifs comes 20 days before the elections. This is going to impact the fortunes of the PMLN. With an open field Imran Khan gains. If Nawaz comes back&is jailed it may create sympathy wave- all uncertain now. What's clear is that we have returned to 1990s. Shahbaz Sharif is making all lame excuses. Definitely he is in it too. All Sharif's should be taken down at once and should be disbarred from election too. Meanwhile NAB should make sure NS returns to Pakistan and is put behind bars and their properties should be auctioned by the government! Well, of course, the game is over for Nawaz Sharif and PMLN. He is a convicted criminal now and the case was decided by the highest court in the land. It is not just a matter of being disqualified to hold an office of the PML-N chief. Let us not forget, this CJ is not like any previous. The country loves him and nothing can stop this accountability culture. All other parties that are seen to be full of criminals, your days are numbered too. I love this CJ. Now , it is to be seen, if NAB or SC acts against other Panam culprits? Long live Pakistan. Justice served for the first time. Birth of Naya Pakistan today. Thank you Imran Khan! It is timely reminder to all those who were on this bandwagon of corruption and were active participants to heed this important and crucial decision; let’s make Pakistan a strong nation for the benefit of the MANY and NOT FEW. Media must change its loyalties and align itself with truth and discharge its moral obligations rather than supporting immoral and corrupt elements. It is game over because the Sharifs are out of touch with the people, telling themselves they are loved by the people. Those who voted for Nawaz Sharif in 2013 are angry at being betrayed. @Concerned 1 "They will win elections based on this victimization " If you're right, Shahbaz will be PM. Nawaz will have to come back to serve the jail sentence. In order to avoid that, Shahbaz will have to advise pardon for him. One brother will grant pardon to another. How will that sound? The decision is good in a way, that the people who are in politics for just money will have to think thrice and not twice. This will create room the honest people who are not greedy of money and want to serve country only. The people who were having there share in this mega corruption will create some noise but the process must not stop. Anybody involved in corruption must be booked, but top to down order, not other way round. Reham Khan's tweet is the most ridiculous of all reactions. If this nation can keep Bhutto alive for the past 40 years, then this nation will also turn this criminal into a hero. I won't be surprised. This is the best news and Nawaz and Maryam should never return to Pakistan as we do not need their presence. I am sure if he has a little bit of self respect, he will accept his corruption practice charges, serve the sentence and pay the fines asap. Per chance this may give him and and the nation some closure on this matter. Each and every member of Shariffs should be banned from the Pak politics for life. Alhamdolillah! Beginning of a new and clean PAKISTAN. We want our looted wealth returned as well. justice has been served,now its time to bring the change credit goes those who fought and brought these shameful,worthless politician real face in front of nation. long live pakistan salute to justice saqib nisar!! I remembered of my days at National Bank when I was asked to go for the bridge loan audit NS took and within 12 hours management told your trip is canceled. The best of all NBP issued bridge loans against the PO Box addresses. Just imagine how common man is treated at our banks and how elite. A great decision in the history of Pakistan when a sitting prime minster is convicted rightly for wrongdoing. It will be a lesson for all politations that no one is above law a d everyone is accountable . Salute to Independent judiciary. Nawaz Sharif must have seen that very few people came out on streets in his favour. PMLn is not that party to pull huge crowds onto the roads to stage protest or stand with garlands in hands to receive their leaders at airports. NS is not likely to return unless advised by his close aides like Parvez Rashid who have brought him to face all this. First of all he nor his daughter will come back. Besides Avenfield Flats they have other expensive properties in London, as detailed in Daily Mail UK earlier prints. If by mistake they set their feet on Pak soil, their destiny is Adiala Jail, or Mach Jail, and a couple of more cases about more properties. The chapter is closed, and door shut. @Ahmed khan lehri Thanks . Relieved to know that truth has some currency! @Zack Their presence is needed - in prison! I see things a little different, Shahbaz Sharif. I believe Shahbaz Sharif feels its finally his time with big brother about to be locked up for a few years, but Shahbaz is wrong, he only lasted this long because of his brother. There is no way Shahbaz can lead this party, maybe Mariam can, but that means having to wait 7 years. As for who benefits from the end of Nawaz. Lets look at it this way, people had enough of PPP and Zardari in 2013. 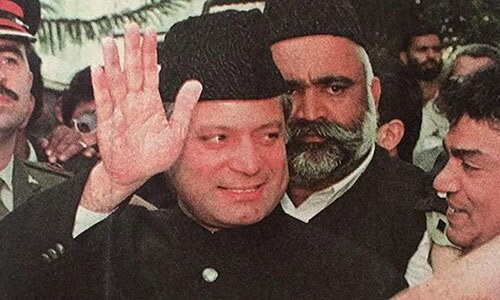 History will repeat itself, but this time, its Nawaz Sharif. That leaves Imran Khan, but he'll have to overcome few issues of his own. Reham Khan. She sounds like she's trying to get on the good side of Mariam Nawaz, that's too bad, its not going to happen for her, she might as well move back to London. @Kamran, It ain't over yet, Shahbaz still has a few cases of his own he's got to deal with. No one is listening to you Reham Khan. @Wahid Well analysed comments. Support your sentiments fully. But the question remains:Now its Generals turn? Its undue advantage to Imran Khan. I also strongly believe that after the 1-2 years of IK rule, if elected, people of Pakistan will regret for their decision as the people of Delhi for electing Kejriwal. The Bowler has been gifted Two Wickets on a No Ball by the Third Umpire. This certainly is not cricket. Can the Bowler manage the rest on his own? All big fishes should be tried in courts for corruption and other blunders. They must be prohibited from appointing their sons and daughter after them. Need to establish a true democracy. politics are for politicians and defense is for Army. What kind of persons they are Nawaz, Zardari and other big fishes, they proudly said want to hear verdict in presence of peoples what a shame. Playing like they have done a miracles for Pakistan and are proud very shameful being convicted for money laundering corruption how are they raise their heads? Famous saying after first First sin u wont feel 2nd one and hence third and long on....their conscience are dead need to be get rid of them once and for all. Intellectual type of people are fooled by this mis-judgement. The common people are never fooled. They know their two + two sums. PML-N will be the winner. We will accept it as evenhanded when Zardari will be behind the bars and his property will be confiscated. @kumar Thank you for your comment. I agree with you certainly. ALL the family's assets should be confiscated. @Malik Thanks for your affirmative comments. Appreciated . It’s principles and morals values that distinguishes a good human being. Although there a lot of human beings but few with humanity. Heh, great news. Do we really expect that Sharif will not come back, unlike some Constitution destroying coward? Even Zardari spent eight years in prison for his beliefs, in contrast to the fearless "commando". Now, except for the English audience here that seems to be mostly anti-Sharif and pro-establishment, the country will really behind Nawaz. Needless to say, they will try every possible way to stop his return or even eliminate him And Maryam, so as to limit the damage - just wait and watch, it's going to be fun.